1 tablespoon fresh grated ginger root, or ½ tablespoon dried ginger pieces, or 1 teaspoon powdered ginger root. Note: You can use this for toppings, like on ice cream, pancakes or waffles. Just keep in mind that it is thin syrup. We use one tablespoon all by itself for health purposes. Reduce heat and allow herbs to simmer for about 20 minutes. Strain the berries and herbs through cheesecloth and squeeze out the juice. Or use the spoon and tiny strainer like I do as I rarely keep cheesecloth in the house. 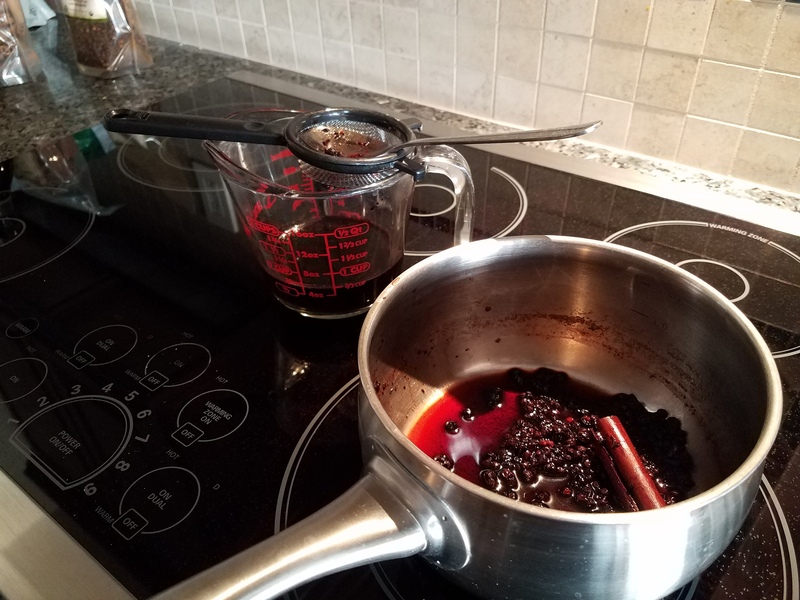 Measure the liquid, add an equal amount of honey or blue agave syrup, and stir in the juice for a few minutes while the berry mixture is still warm, until well combined. Do not boil! Try half the amount of sweetener first and see if you prefer a tarter taste. Bottle in sterilized glass and keep in the refrigerator. 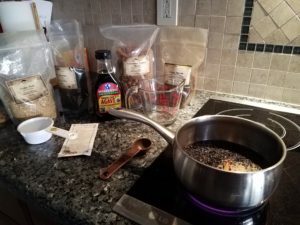 I make this syrup around the time flu season begins. Back when we lived in New Mexico and lived next door to a B&B, I made Elderberry Syrup for the owners. Neither of them caught colds or flu that season and it was a bad year for flu. This recipe is based on one from Mountain Rose Herbs. I’ve used their products for years as I tend to have poor reactions to many medicines. When I first made this recipe, my hubby asked me what it tasted like. I said, “It tastes like Christmas.” I make mine with the Blue Agave. The honey is wonderful but our family preference is for agave. If you decide to give this a try, let me know what you think. I am not a medical professional and am not giving medical advice. Do not use this if you are allergic to any of the ingredients. Below are some interesting articles about the elderberry. Tagged elderberry, herbs, medicinal syrup, recipe Sambucol. 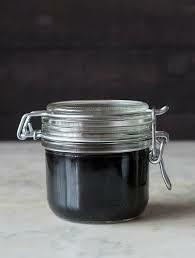 I love the elderberry syrup I get at my local coop, but I don’t kind the price. I have many elderberry bushes here in my 30 Vermont acres and will surely save your recipe and try it at the next harvest. Thanks. I am pleased you plan o give the recipe a try! I’ve tried it with honey, but the organic blue agave gives it a better flavor, in my opinion. The original recipe gave double the amount of sweetener. We determined that was not necessary and use the thinner syrup. It stays very well in the fridge and has been super helpful, keeping us from getting the flu. Lucky you, having your own elderberry bushes!! Let me know how it works for you. I’ve only used dried berries. Loved the recipe. We do not get this fruit in India. It is rarely found in dry form and as I understand these are used in Ayurveda. Hello Reena, Glad you responded! We love this recipe, too. 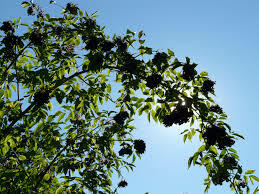 Elderberries do not grow near us, so I purchase them online from Mountain Rose Herbs in Eugene, Oregon. https://www.mountainroseherbs.com/ I’ve purchased dried herbs and roots from them for years. 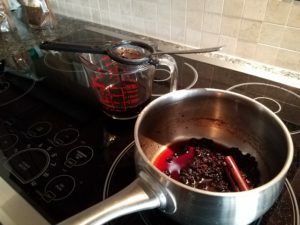 If you find the berries and decide to make Elderberry syrup, let me know how it comes out. One reader said she has the plants on her property. So fortunate!